Often when working with entrepreneurs and business owners, it becomes evident that many of them view Social Media Marketing (SMM) the same as traditional marketing channels. I’m writing this post to help anyone interested in marketing their products using Social Media Marketing. Please know, that the success of your marketing depends on your ability to engage and enlighten your customer. Every effort should be taken to mask your attempts to “sell,” otherwise your efforts and money will be wasted. The number one thing you need to understand is that in Social Media Marketing (SMM) the “buy it now” approach doesn’t work. Old-school “buy it now sucker” pitches always flop because nobody likes to be “sold” to. In today’s market, people are looking for social engagement. All interest is on increasing their “social credibility” and engagement with your product on social networks are seen as ways to rant or rave about your product. More importantly, when considering Social Media Marketing, your business cannot look at it as a magic bullet. Marketing one advertisement is not going to result in the intended sales because customers want to learn why others covet the product. Therefore, measuring ‘market spend’ against a specific ‘gross sales’ doesn’t work. The traditional sales process is relatively easy, entice people to buy and make the sale. Nonetheless, when it comes to SMM traditional marketing techniques results in advertisers losing a ton of money because they fail to recognize customer desires. With old-school marketing, the formula is “invest x amount of money for y sales” was trustworthy. Results over the past ten years have show that this equation does not result in the same outcomes for advertisers using SMM because the sales funnel completely different. The number one difference is social credibility; people want to win when buying and look to others in the social environment to endorse products and services. A well-endorsed product will receive extensive “social credibility” which will result in an increase in sales. Common sense should tell you that real credible reviews will carry a much higher value than anything you can put in your sales copy. These days, very few people buy on sheer impulse, excluding little black dresses of course. Instead, people are buying with purpose and idea of how the purchase will positively impact their life. This truth is the same whether we are talking about digital or real items purchased online. The buying decision is a calculated decision and based on perceived value the product will provide. Often, the consumer invests a healthy amount of time reading customer reviews, sales copy, images and social media comments to understand the benefits of making the purchasing. Therefore, to sell something online, one must generate awareness and buzz about the product. This is where the capabilities of Social Media Marketing shine through. Your ability to engage people in a discussion of the positive qualities a product will keep potential customers engaged and keep them focused on the positive characteristics of your product. Customers love to comparison shop. Make sure your product performs well against the competition. Customers want to know who they are buying from. Make sure seller contact information and sales agreements are easy to access. Scarcity and time-based offers are powerful, so consider them when creating social media advertisements. Trust is King. In Social Media Marketing customer reviews and product endorsements make the sale. A good mix and match of product scarcity, endorsements and customer reviews will drastically improve your chances of making the sale. These are often viewed as “new rules” for Social Media Marketing and only played a small role in the traditional sales process. In prior days, sales copy was the focal point. How did the ad look? Could people relate to the imagery? Is the sales copy intriguing? Effective marketing on Social Media platforms requires that your sales copy sound natural and authentic. 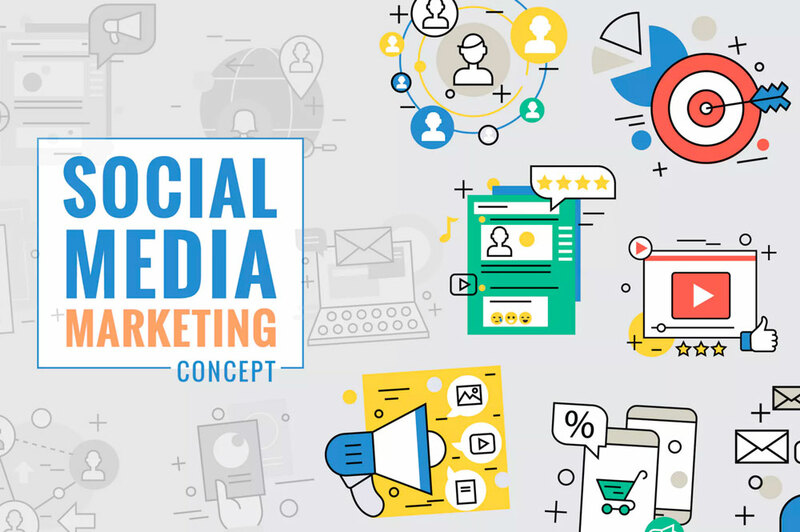 More importantly, your organization maintains control of branding, trust factors, and maturity of the product maturity; nonetheless, keeping an eye on the core elements of a successful social media marketing campaign are critical to making the sale. To help you succeed in this area, we have outlined the critical elements of a Social Media Sales Process below. One small secret that many advertisers are unaware of is that blog posts play a major role in the sales process. Before making any purchase online, many consumers will do a Google Search for “reviews” related to the product they intend to buy. Most of the posts that are returned are blog posts where prior customers will explain the positive and negative characteristics of your products. Often these are blog posts generated by the seller, but the aim of every blog post should be to create value for the customer. The blog posts focus on the features of a product and help sell the product based on those positive features. One thing you will often find us doing is raving about how our product solves a key customer challenge. A good use of your Social Media Channels is to post about the amazing results rendered by your product because this is what your customer wants to know. We avoid making sales pitches on on our Twitter or Facebook accounts. It may be one in a couple of hundreds of tweets where we directly speak about one of our products. And you will never hear us screaming about how people should be buying our stuff. Instead of saying look at me….say, look at what I can do! Still, social media channels are only a part of our sales funnel. We use Social Media Channels to generate buzz about the sellable features our product provide, thus driving our customers to see how our products can benefit them. It is a win when customers „like“ what you publish on social media channels because these are endorsements for the products. Every time people “like” our products we win attention for the product and people equate this to value and a reason to own our product. Isn’t that how it should be? When a product provides value, don’t people rave about it? That new restaurant? The new “must have” shoes. Why are these the focus of people’s attention? It is because they satisfy the needs of past customers in a way that the current customer can relate to. But, if social media marketing is only about demonstrating value, how do we make the sale? A lot of hard work goes into creating content, staying attuned to social media channels and driving traffic to the content we create. Nonetheless, this is all part of the sales process when selling on Social Media Channels. We need to engage the customer, so they want more, thus allowing us to drive them to our website. Getting people to visit our website is the reward of social media marketing. When we can get customers to visit our site, we put traditional marketing funnel to work. The customer has expressed an interest in “buying” what we have and now is the time strengthen the relationship, nurture further trust, or close the sale. It is important to note that a first-time visitor to your site is not ready to buy. Often the first visit is all about validation and trust building. Once on your site, you want to nurture the relationship and work to deepen the customer’s trust. During the first visit, the customer is often visiting to conduct their research and validate the claims made. The trust until the time is right to close the deal. Some will argue that lead nurturing and trust building can be done on the social media channels if you provide another value. When your product can inspire customers to listen and buy-in to a cause or challenge you can gain greater “reach” and nurture sales directly from the social media channel. If people “like” you on social media and identify your product or service as valuable it will increase your overall trust score. No social media post will “reach” your entire audience, and it is impossible to control who receives your posts. Therefore the development of multiple posts is necessary. Creating multiple posts is a laborious process, and the only way to monitor the results is to focus your energies on driving potential customers to join your mailing list. Maximize your sales by controlling, analyzing and segmenting your potential buys.